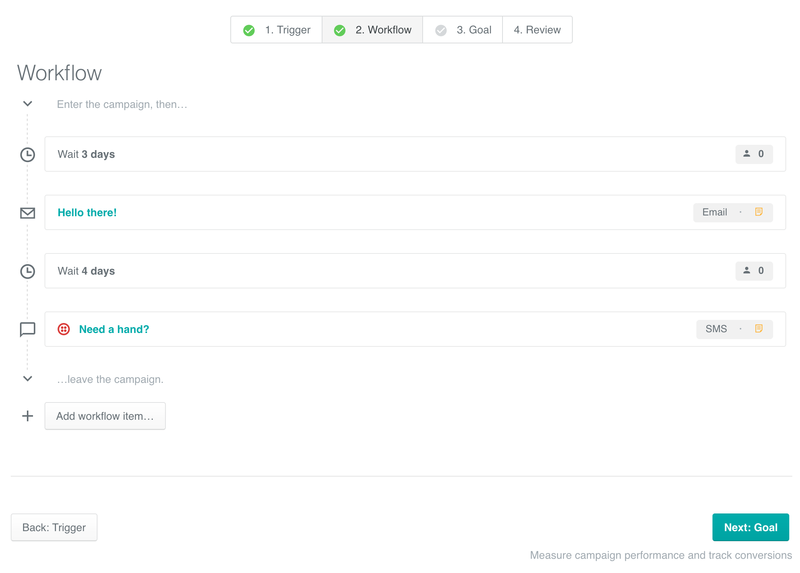 Then, choose the Segment Triggered Campaign option. In the Trigger field, add one or more segments. 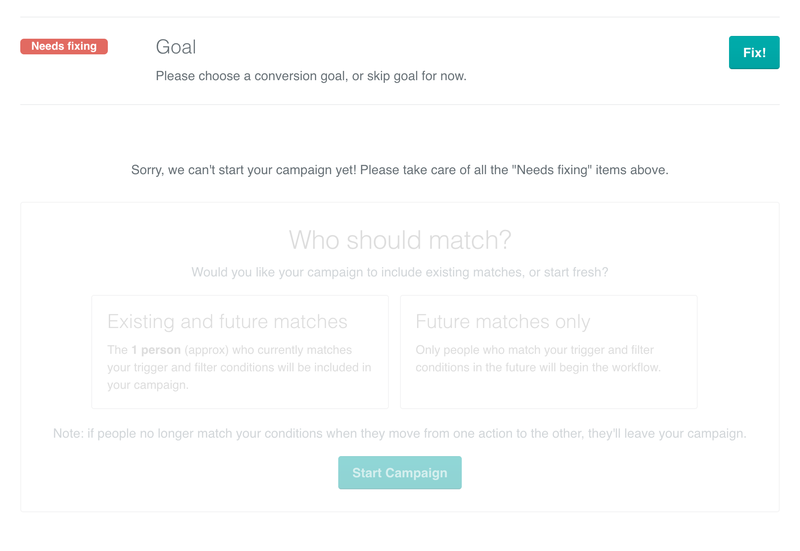 Using AND means that your users need to match all the segments before they enter the campaign. Using OR means that it's enough for a user to be part of any one of the segments in order to match. Unlike triggers, filters only get evaluated when a user moves to the next action in the workflow. Filters are especially helpful in excluding users who have performed a certain action after a certain delay passed. For instance, if you're setting up a campaign encouraging users to upgrade, you may want to add a 7-day delay after the first email action and prevent users from receiving the second email if their account status changed. You do this by adding a filter segment with a rule like "account_status is not equal to premium". 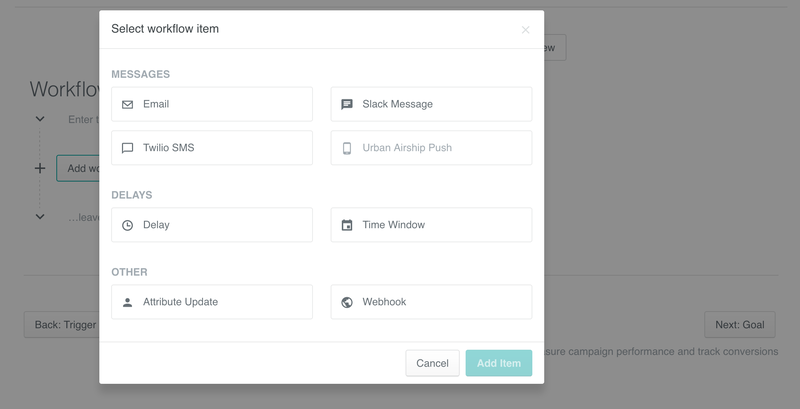 Unlike event triggered campaigns, any segment triggered campaign filters are checked when the user moves to the next action in the workflow. These settings are on a per-email basis. For segment-triggered emails (which tend to be marketing communications), we recommend leaving this on the default setting so that you don't send emails to people who have unsubscribed. Select specific days, specific times, and time zones. Once you’re done, click "Save window” and your preferences will be saved. 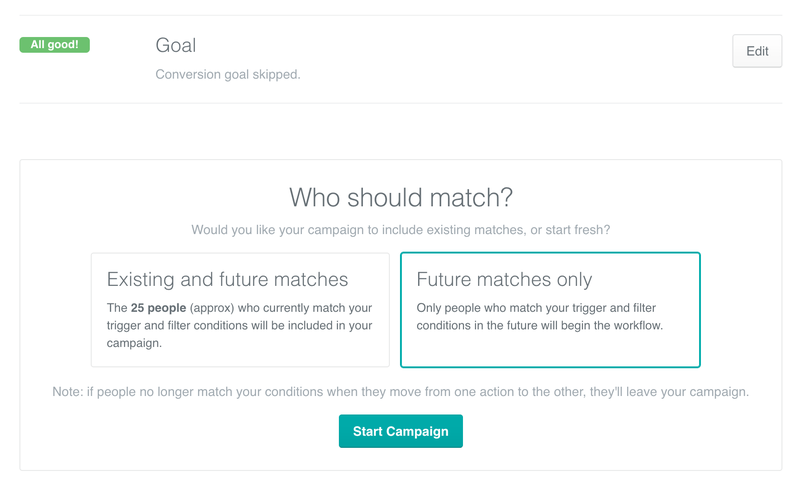 If everything looks right, choose your campaign matches and click Start Campaigns!